Spray directly onto area to be cleaned, allow to soak in until stain disappears and then rinse thoroughly with fresh water. Stubborn stains may require a repeated application that is allowed to soak in for several minutes followed by light scrubbing and rinsing. Not for use on fabric. NOTE: Test for effect on color by treating a small, inconspicuous area before treating large areas; if adverse reaction occurs, do not use. Take precautions to prevent contact with boat trailers, bottom paint, decals or any other surfaces that are not intended to be cleaned. 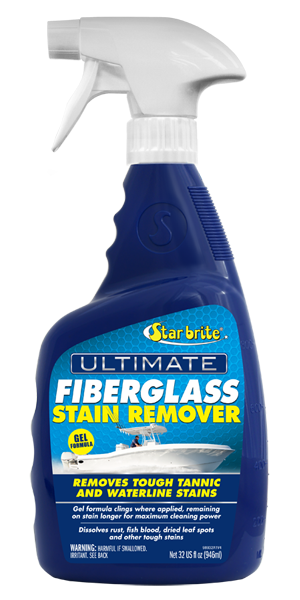 Star brite’s liability is limited to the purchase price of this product.